One of classes of LL Shihoya Arai School, GB has 1st and 2nd graders of elementary school students, who started last April. 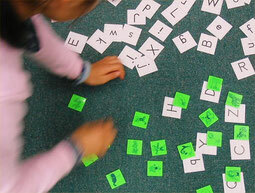 They are learning both “each name of alphabets” and “its sound” at the same time in this picture. In addition to above; they are enjoying learning many familiar words around them by using “a phonics game”, one of Yoshy’s originals in order to have them pronounce the words beautifully. For example, the name of “Q, q” is [kju:] and its sound is mainly [k]. The sound of the first phoneme of “queen” is [k], isn’t it? As soon as Yoshy says, e.g. “queen”, they start to find the card of “Q or q”. As they get accustomed to this simple game; they can find some picture-cards: “queen, cat and/or king” as soon as they hear Yoshy’s saying: [k] only. YEA (Yoshy’s English Activity) of Myoko Powerful English Club (M-PEC) is held today, Saturday, February 9th, from 6:00 to 9:00 pm at LL Shihoya Arai School. We’re looking forward to seeing anyone, from J/S high school students to adults. Further information is written below. 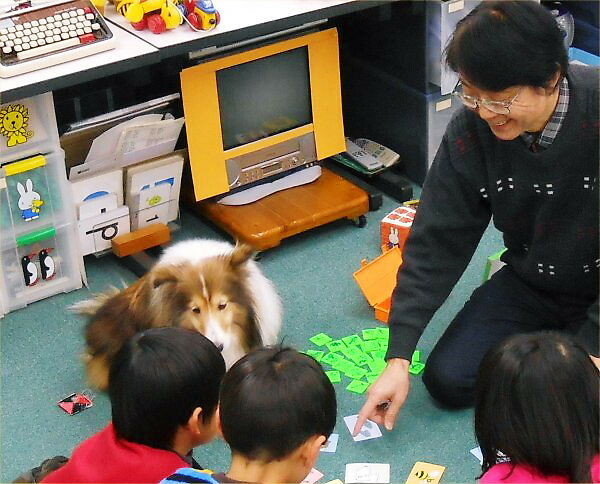 …BTW, we have Junior Eiken in the morning and the highest leveled AS class in the afternoon on schedule.